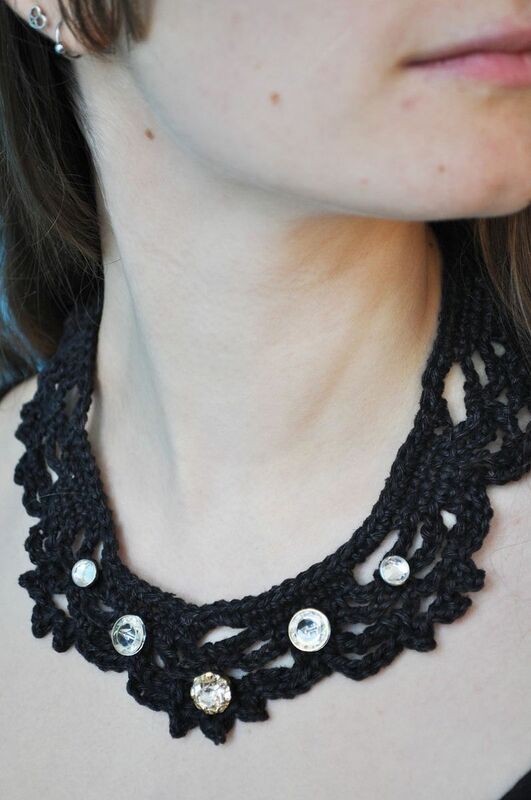 The hemp I used to crochet this necklace is unbelievably soft and supple. It is not rough or scratchy and the texture is closer to linen than most hemp threads. 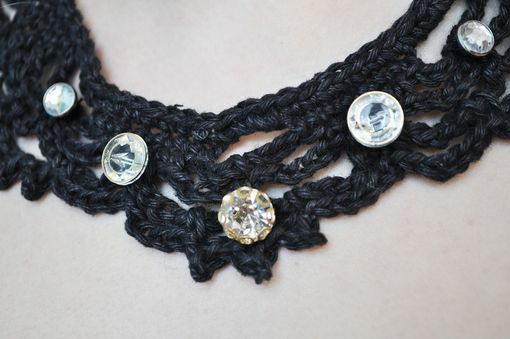 I crocheted it into a length of lace and added vintage glass and rhinestone buttons to give a stylish gleam. Some of the buttons are accented with gilt paint. In the back it is clasped with loops and a porcelain button. The buttons are upcycled but the hemp is new. Hemp is more sustainable than cotton because it takes less water and no pesticides to grow. The whole effect of the necklace is modern and elegant.